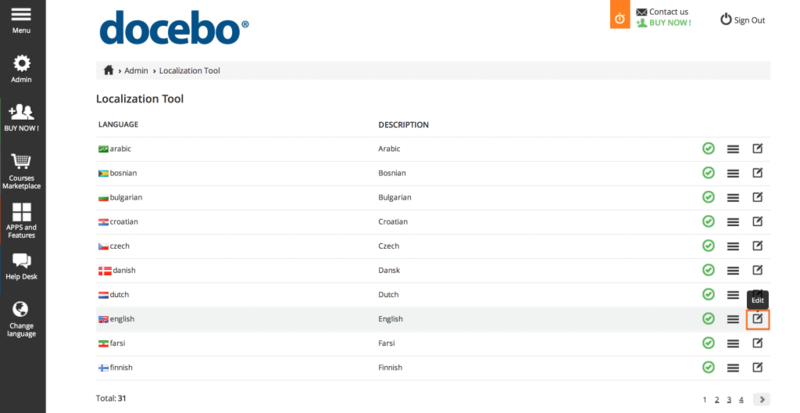 Docebo allows you to manage multiple languages within your LMS. 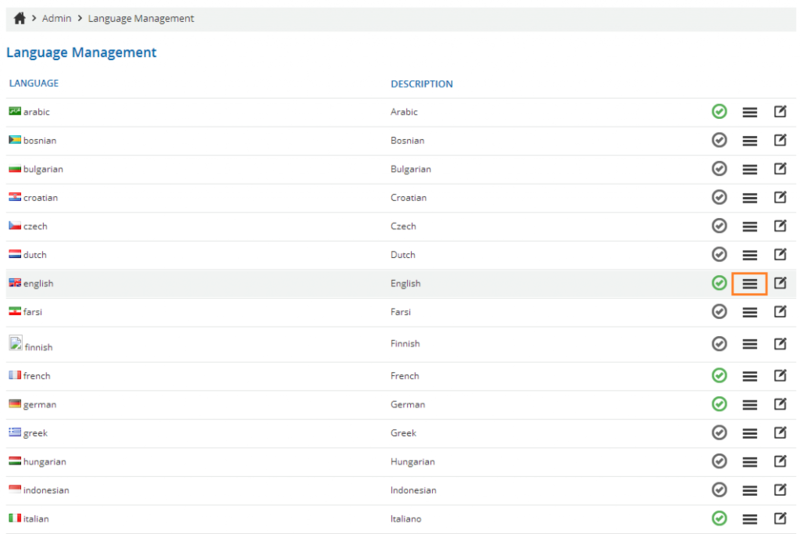 The localization tool allows you to enable new languages, manage translations, and much more. Select Localization Tool from the Settings menu. In order to activate a new language you have to click the check mark icon in the language’s row, as shown in the picture below. Once activated, the icon will turn from grey to green. The language is now enabled. You can deactivate the language by simply clicking on the check mark icon again, turning it from green to grey. 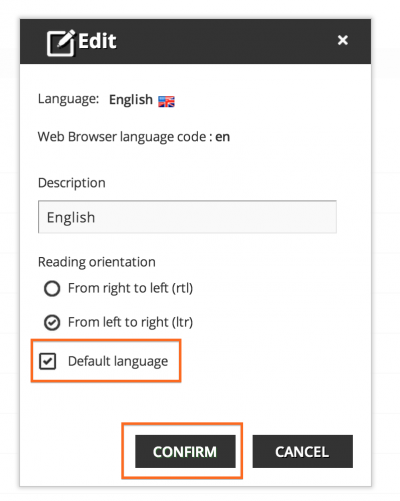 select the Default language option and then select the CONFIRM button. The ability to translate languages directly in your LMS is very useful if you want to quickly change any textual part of your platform (i.e. the name of a menu item, tab, button or description). In order to edit a translation, you must select the hamburger icon, as shown in the picture below. The system will show all the related texts contained in the platform. 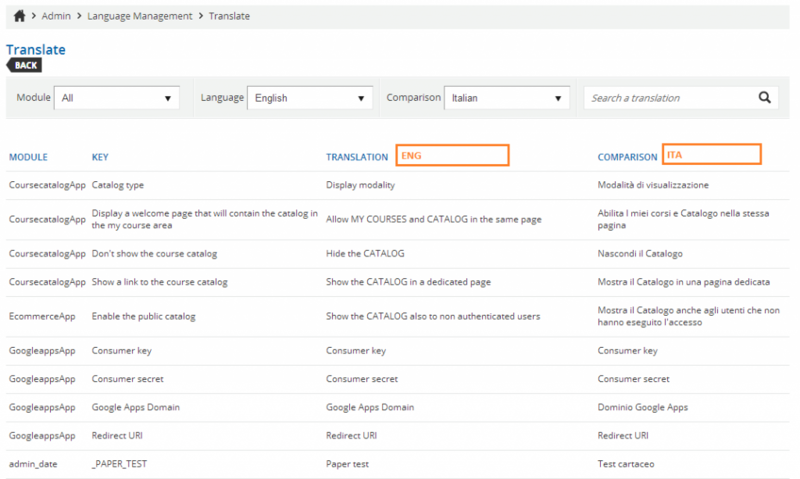 All texts are divided according to the module in which they are located; you can choose a module by expanding the Module dropdown menu. Once you’ve chosen a module, find the word you want to change in the list. You can also find the text through the “search” feature, after typing a few letters or words included in the phrase. You can edit the word in the Translation field by simply clicking on the word in it’s row. A pop up box will appear, allowing you to edit the translation. Select CONFIRM to complete the operation. If you need to compare the translation of a term, notification or any other text within the platform you can use the Comparison tool. Select the first language and click on the related edit icon as shown below. 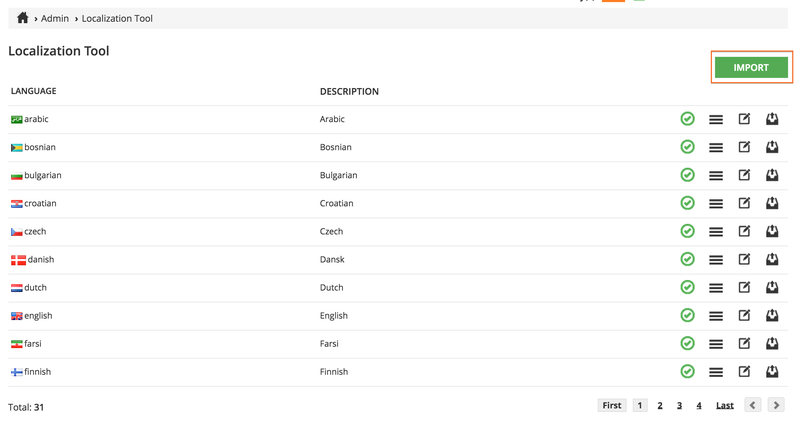 and select the language you want to compare. The system will show you the comparison between the two languages. How to Update a Language? If you want to overwrite an existing language you have to select the IMPORT button. Upload the file and select SAVE CHANGES. 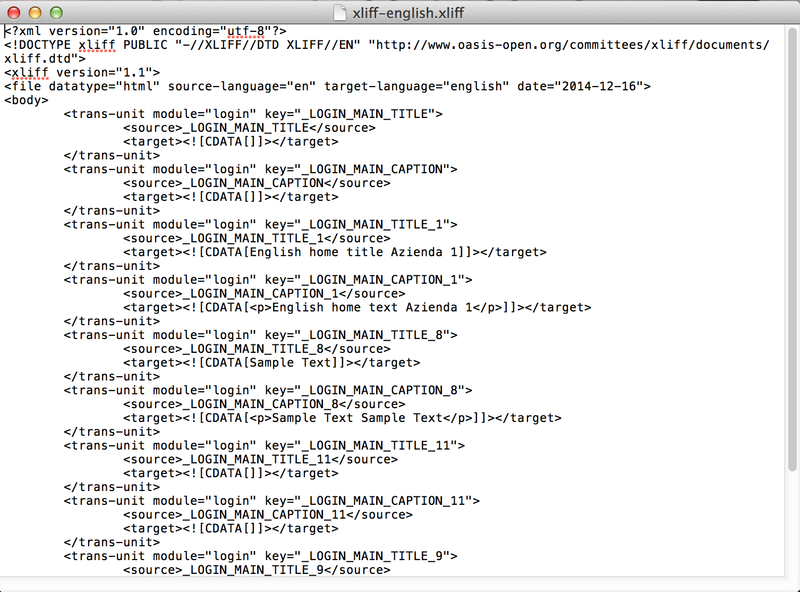 Please note that the file must be a .xliff format and should be composed as shown in the sample below.